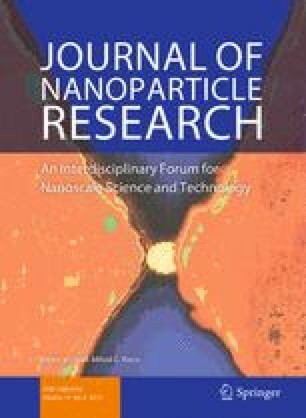 A comparative study of the chemical structures of soot precursor nanoparticles from the liquid fuel flame and engine exhaust has been performed in this work to establish an association between the particles from both the sources. Different ex-situ measurement techniques have been used to characterize the nanoparticles in samples collected from the laboratory petrol/air and iso-octane/air flames, as well as from a gasoline engine. The TEM images of the sampled material along with the EDS spectra corroborate the existence of carbonaceous nanoparticles. The nature of the UV absorption and fluorescence spectra of the samples from the iso-octane flame environment further confirms the sampled materials to be soot precursor nanoparticles. The DLS size distribution of the particles shows them to be below 10 nm size. FTIR spectrum of the precursor nanoparticles collected form the non-sooting zone of the flame and that of fully grown soot particles show few similarities and dissimilarities among them. The soot particles are found to be much more aromatized as compared to its precursor nanoparticles. The presence of carbonyl functional group (C=O) at around 1,720 cm−1 has been observed in soot precursor nanoparticles, while such oxygenated functional groups are not prominent in soot structure. The absorption (UV and IR) and fluorescence spectra of the carbonaceous material collected from the gasoline engine exhaust show many resemblances with those of soot precursor nanoparticles from flames. These spectroscopic resemblances of the soot precursor nanoparticles from the flame environment and engine exhaust gives the evidence that the in-cylinder combustion is the source of these particles in the engine exhaust. One of the authors (B. Paul) gratefully acknowledges the support from Council of Scientific and Industrial Research (CSIR), Govt. of India (Grant No. 9/96(0622)2K10-EMR-I) for conducting this research. The TEM measurement has been performed at SINP TEM facility and the EDS has been done at Department of Metallurgical & Material Engineering, Jadavpur University.